Development of this simple-to-use, painless and noninvasive test was based on the strong scientific foundation of NIH-funded research with initial discovery and pre-validation work conducted by Dr. David Wong of the University of California at Los Angeles. 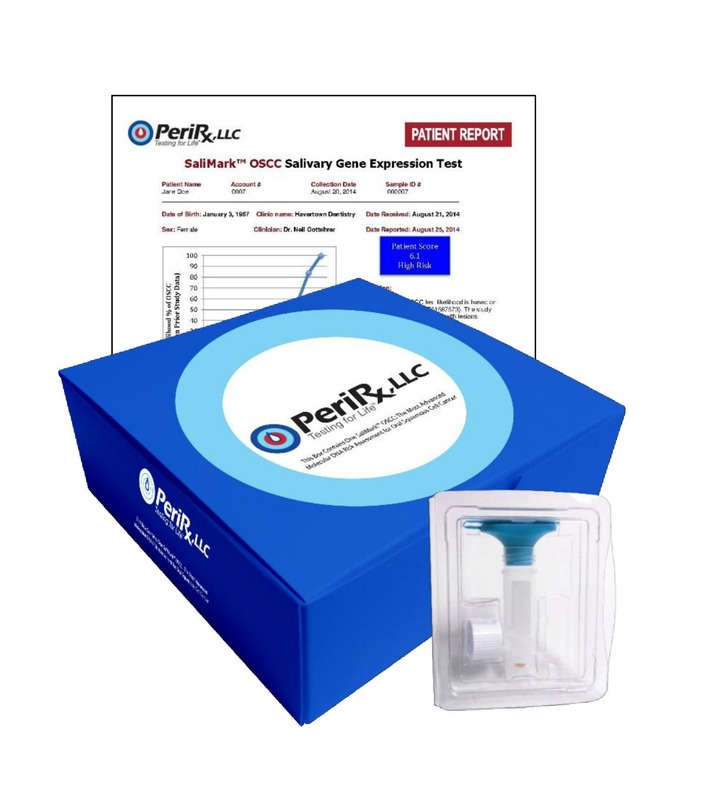 The SaliMark™ OSCC test also has the distinction of being the first of its kind assay in the world to aid in the identification and early detection of oral lesions at the highest risk for cancer. Recently, the SaliMark™ OSCC test underwent a PRoBE (prospective-specimen-collection, retrospective-blinded-evaluation) design study which is the most rigorous biomarker validation available. In addition, PeriRx successfully completed a validation of the mRNA markers at the University of Michigan, Michigan State University and the St. Johns Providence Health System in Detroit. Based in Broomall, Pennsylvania, PeriRx, LLC is a premier developer of breakthrough, non-invasive, oral diagnostic technology that will help clinical professionals detect and treat diseases sooner and enhance the practice of wellness management. PeriRx, LLC obtained its patented and patent-pending technologies from inventor Dr. David Wong’s firm RNAmeTRIX and the Regents of the University of California at Los Angeles. PeriRx and RNAmeTrix have ongoing agreements which ensure the continuing research and development necessary to advance product development from clinical trial, through regulatory approval, and into commercialization.